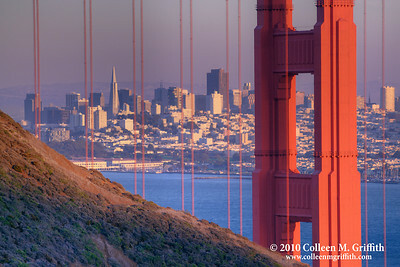 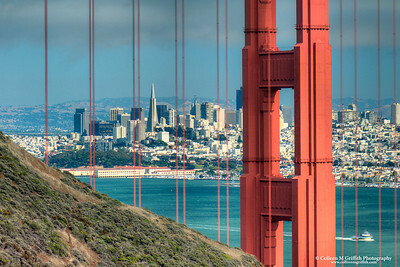 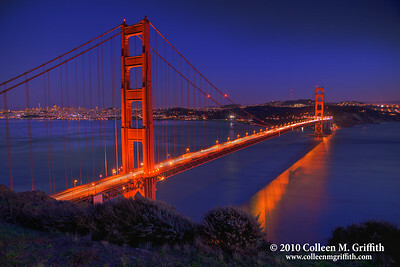 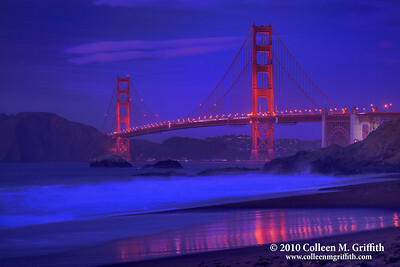 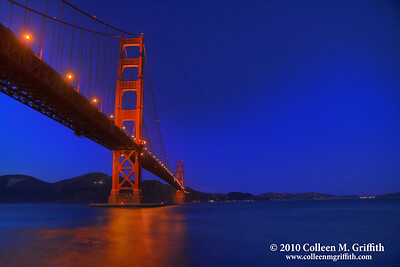 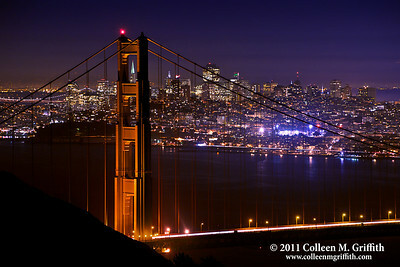 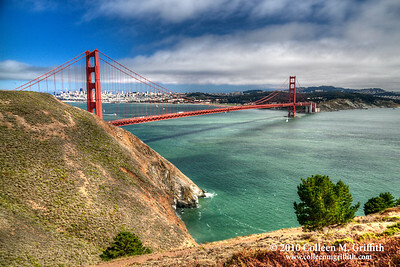 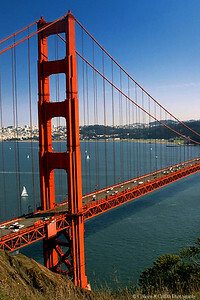 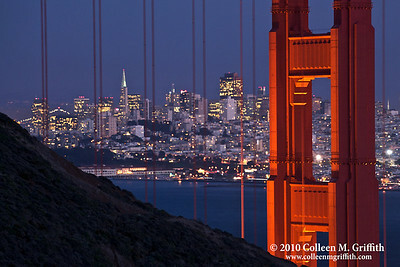 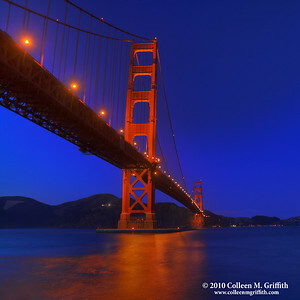 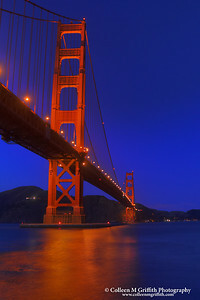 I thought this was another interesting view of San Francisco's skyline and the Golden Gate Bridge. 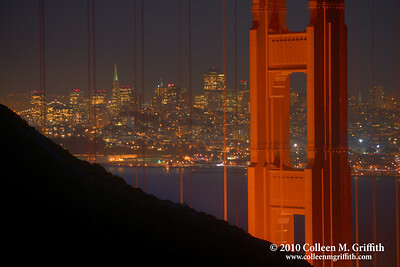 In this photo, the TransAmerica building is framed within the North Tower of the bridge. 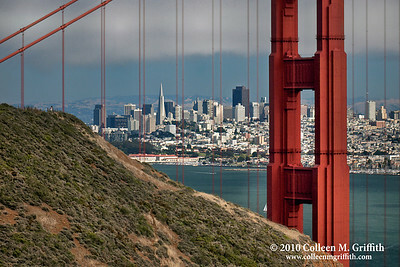 In other photos, I framed the TA Building in the cables of the bridge. 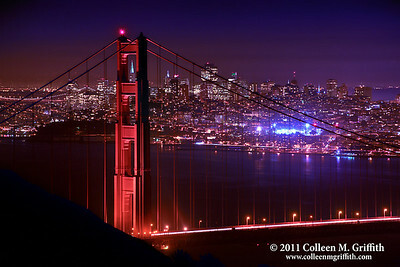 You can also see a portion of the Bay Bridge (upper left background) and the Moscone Recreation Center (bright lights, right-hand center). 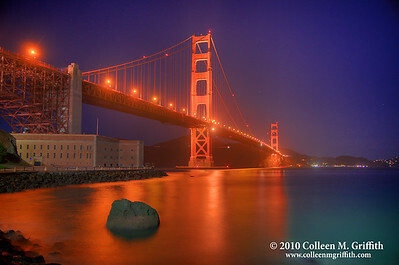 You can see a different processing of this photo here: http://www.colleenmgriffith.com/Galleries/New/New-Photos/13407757_C6nwm#1167945517_6yKs3 .